This week we have added a brand new Mob-Arena respawn system, as well as additional improvements, optimizations, and bug fixes to several areas of our game. 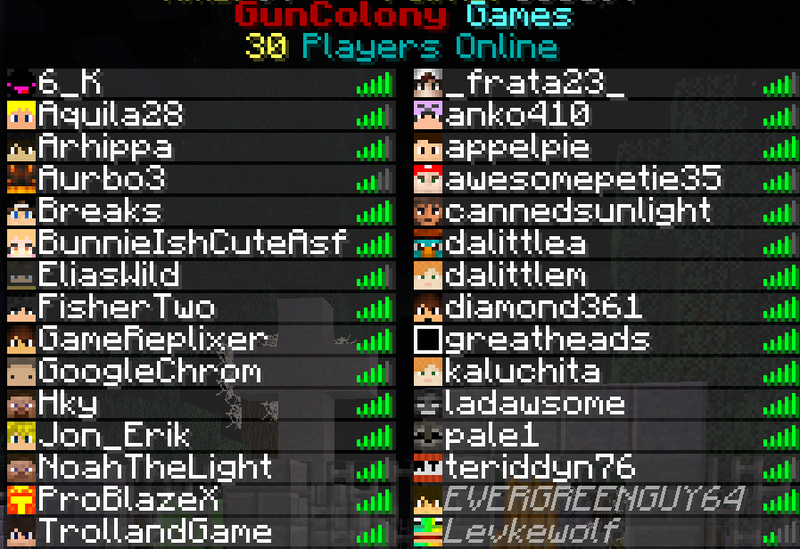 First of all, let us congratulate ourselves for hitting 30 concurrent players, the highest since 2016! Our forums have also reached 5,000 forum posts - huge thanks to everyone in the community for making both milestones a reality! 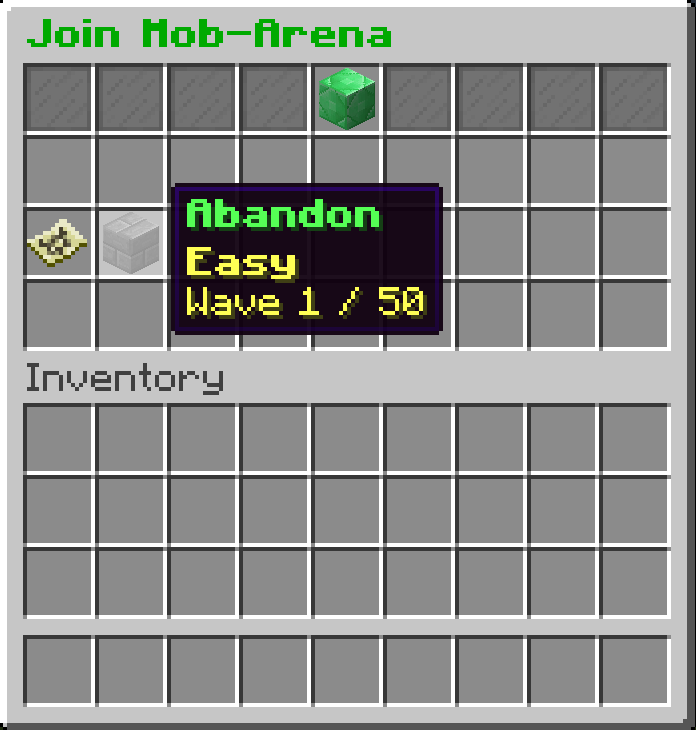 We have added the ability to respawn in a Mob-Arena match. After a boss is defeated, all players in the spectator area will now respawn. However, every respawn players are penalized by having one heart removed from their maximum health, down to a minimum of 5 hearts. 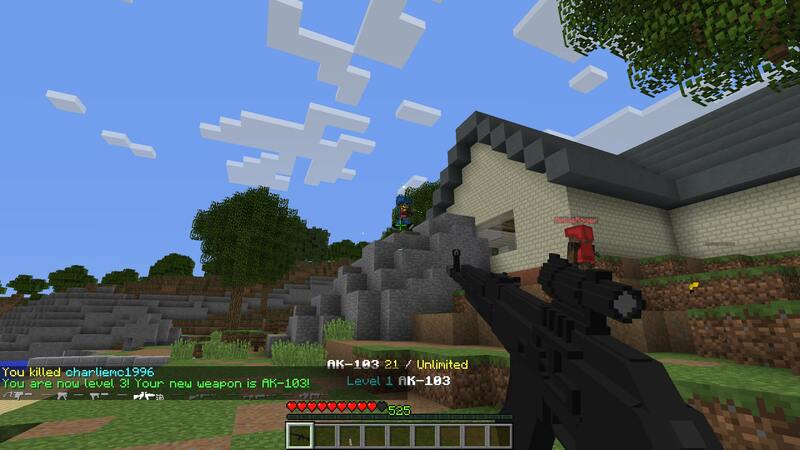 Now you can also join a Mob-Arena match in the middle of the game now, from a new menu we have added to the Mob-Arena lobby at spawn. However, you will also spawn with reduced health depending on how many boss waves have already passed in the match. Your experience bar in Mob-Arena now indicates the progress of the current wave. When the experience bar fills up, the next wave will spawn (unless there's a boss alive). You might notice that the progress seems to go faster over time - this is because the spawn speed of the next wave depends on how many mobs are still alive, and as you kill the mobs the wave will progress faster. The name of bosses are now bolded to make the boss monster easier to locate. This does not apply to mini-bosses. 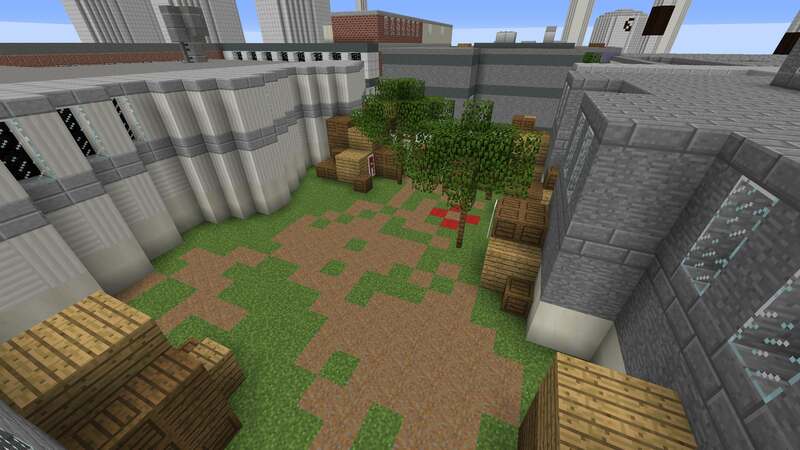 We have added a new Defusal map, Mill, featuring a unique close-quarter combat experience, along with plenty of pathways to navigate around the map or catch enemies off guard from behind. 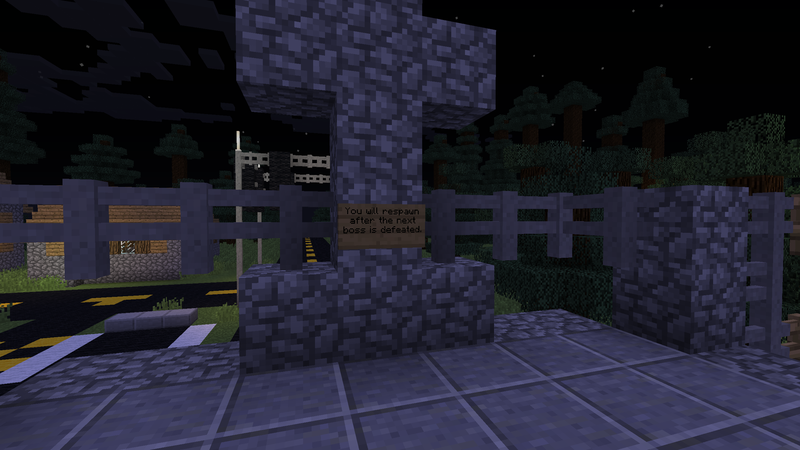 We have improved the visuals of the Graveyard map, adding a lot of decoration outside. 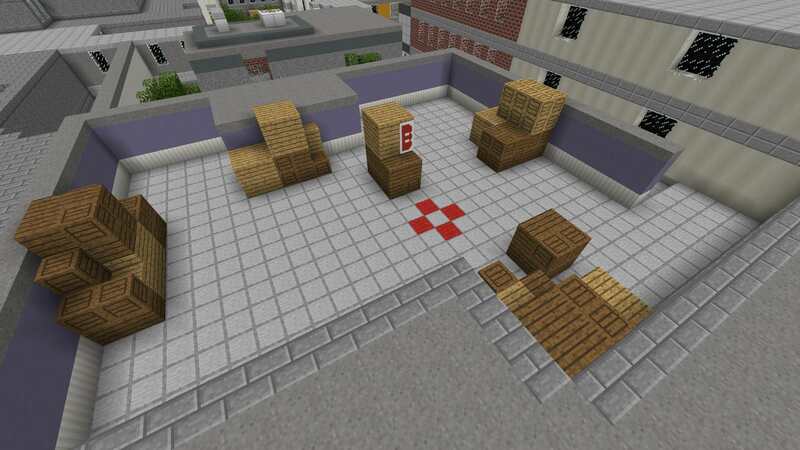 We have also opened up the spectator area to connect with the lobby and allow for a better view of the map. We have tweaked our crate reward algorithm to give more rewards especially for longer matches. 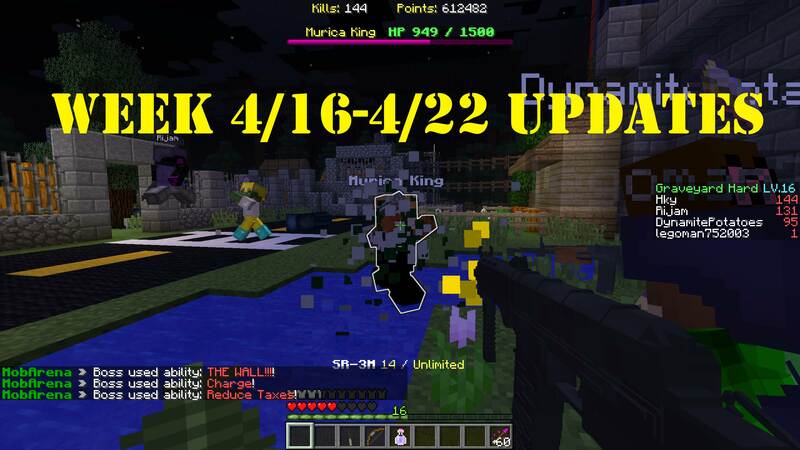 We have also dramatically increased the points you can gain from bosses in Mob-Arena (by 200-300%) to additionally increase the reward of the gamemode. 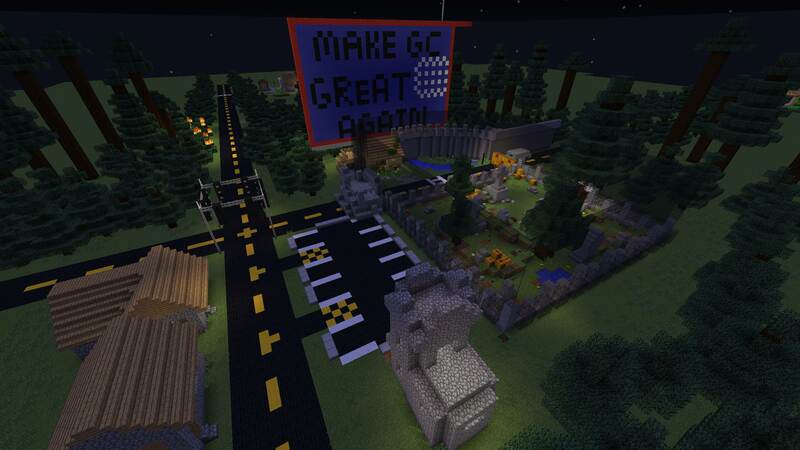 We have fixed the "Go Back" button in many of our GUIs so they actually take you back to the menu you came from. Opening a crate from the crate menu will also take you back to the correct menu now. 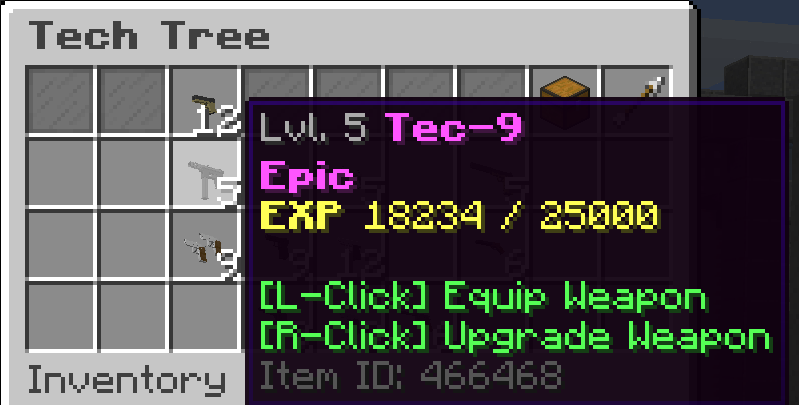 In addition, unlocked weapons in the Tech Tree menu now display the same way as they do in the inventory menu, so you can now manage your weapons from the tech tree the same way as in your inventory. Finally, at the beginning of a PVP match there will now be a chat prompt with rules of the current mode. We have done a number of other changes to the server, particularly to optimize the network performance so the server can support more players without lag.